How to fix a shade sail on a wall? You can hang a shade sail directly on the walls of a house, using a suitable dowel and solid fasteners. It is even possible to install fixing poles on a wall, or to consolidate the accessories with a chemical seal. How to choose the right attachment for a shade sail on a wall? The attachment of the shade sail is as important as the fabric of it: it is she who will support the pulls generated by the winds that will fire on the sail. It is also she who will ensure the tension of the canvas, essential for its life and aesthetics. An attachment that does not match the chosen support may damage the support and, especially, not hold enough in case of wind. The fastening material must be able to resist corrosion: stainless steel is the most suitable material for this purpose. On the other hand, a double skin wall mount will be more suitable for walls with external insulation. How many fixations should be placed on the walls? Depending on the shape of your shade sail and the layout you choose, you will not need the same number of bindings. It will be necessary to install at least every 5 m on average. To shade more particularly the windows and the interior of the house, especially in the case of a bay window, it is better to make two fixings on the wall, and to use only one mast in supplement. What are the steps to install a shade sail on a wall? To begin, you will determine the locations of the fasteners on your wall. They must always be in line with the diagonals or medians of your sails. Remember to check that the height of the different attachment points allows you to ensure a slope favoring the flow of rainwater and that you have about thirty to fifty centimeters distance between the point of attachment and the angle of the sail to improve its tension (this value is proportional to the size of the sail). Then you will install the dowels supplied with the fixings. They allow to install the pitons that will ensure the proper maintenance of the latter. It is not essential, but you can also proceed to a chemical sealing by using a product adapted to your surface (by respecting the instructions of use of the supplier). This resin will harden the area where you inserted your ankle. Position the carabiners and tensioning systems on your sail, before putting it in place. The first will be used to detach quickly in case of wind, the second will allow you to control the tension. It is only when it is in place that you pull them one by one to ensure maximum tension on the canvas. If you have followed all these steps, your fixings will be securely and correctly installed. 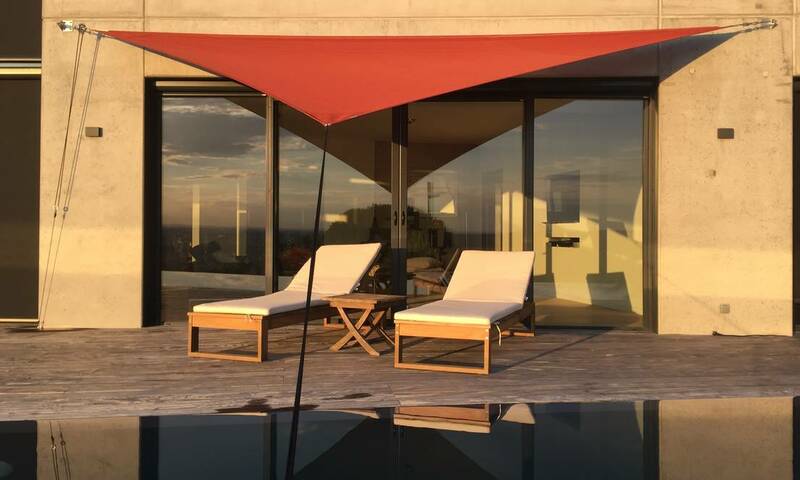 We recommend you to fold and return your shade sail in autumn and winter, your bindings (piton or pontet) will remain in place throughout the year. All the more reason to take the time to put them in place. To read also: How to stretch a shade sail?